Jennifer Duggar celebrated her ninth birthday last Tuesday but decided to wait until the weekend to have her birthday party. 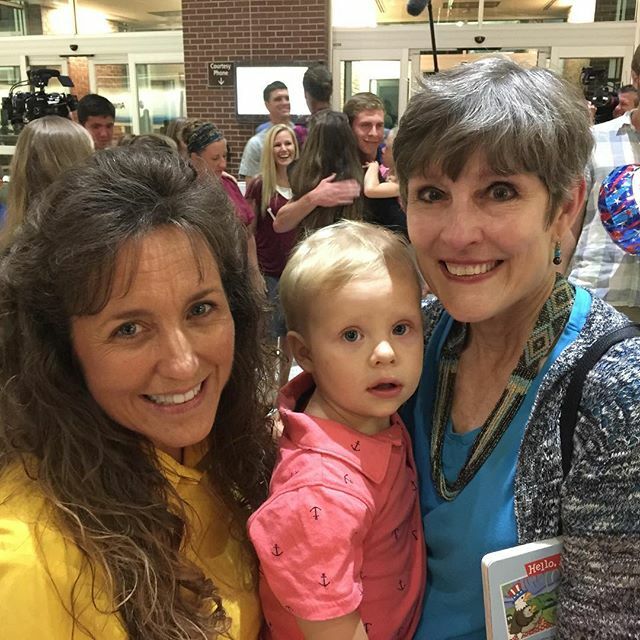 She wanted Jill, who used to be the leader of her buddy team, along with Derick and Israel, to be able to attend. For those who haven't heard, the Dillards just returned home from Central America for a visit that will extend into the fall. 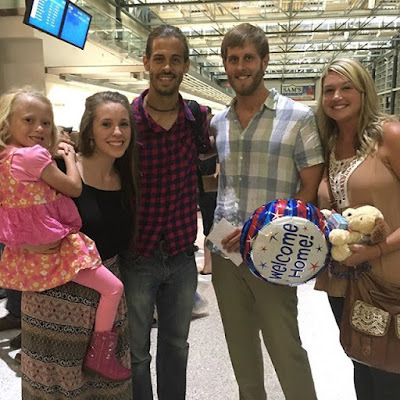 They were met at the airport by family and friends. And now the best for last! 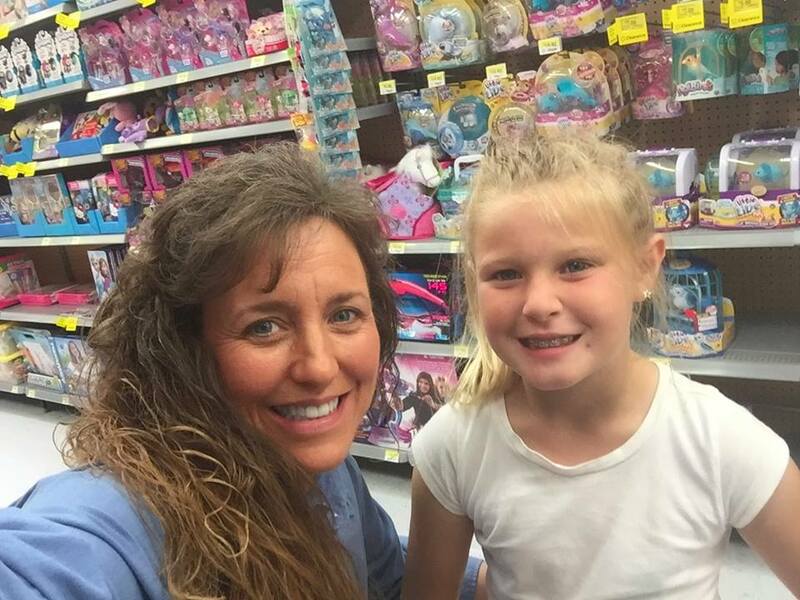 We just love this picture of Michelle Duggar and Jennifer Duggar. 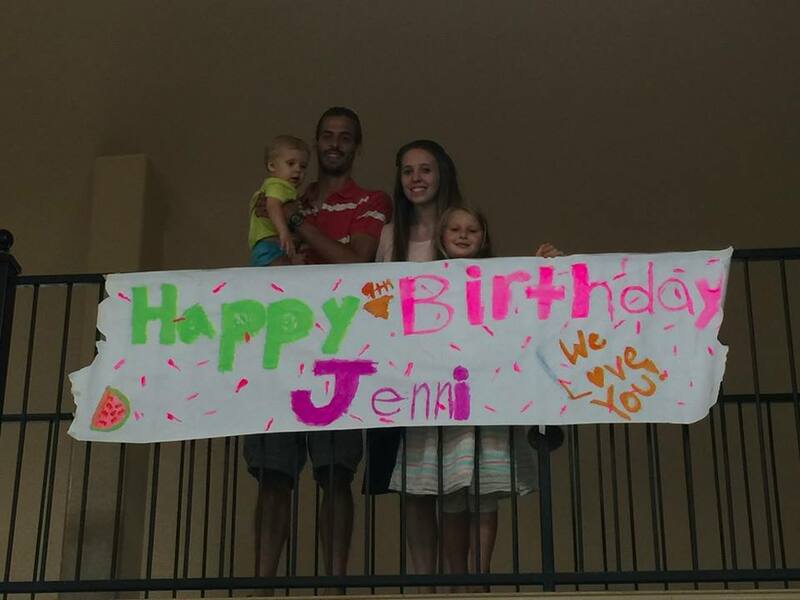 The mom of 19 took her daughter and a few little friends shopping so Jennifer could spend some of her birthday money. What if she or any of the kids wanted to grow up to be another religion, or an atheist? Would she still represent love? Or do you have to have a certain religion to do that? Not everyone in the world knows who John is, or have read whatever he supposedly said. Many religions don't have that black book with the gold page edges, and do just fine without it. How about something from the Koran or the Rig Veda? Or would those also be just more words? So glad to see Derrick's mom is doing well. Also glad to see the Dillards home for a visit, how are they handling the Zika issue? Why do a the girls/women always toss their hair over one shoulder for pictures? Hope your Birthday was everything you wanted i to be.I Love all your Pictures and and enjoy reading about all of you God Bless. What's with Derick's man bun?? His hair is combed back but I see no bun. I don't picture it lasting long while in Arkansas. I've been wondering too. It's not attractive on him but maybe Jill likes it so he is making her happy who knows. It's a way of keeping his hair out of his face. I did see Derick's hair in a bun or a ponytail in a picture on the internet. A ponytail is a way to keep hair out of his face, and it's much more attractive. Great to see Cathy looking so good! I'm sure I'll get hate on this, but I have no idea why they called who Jennifer went shopping with her "friends" when she went with her sister, Johannah and Ben's sister, Faith. Why can't they just say she went shopping with her sister and Ben's sister?! No hate from me. I noticed that, too. Apparently "family" is "friends," and "family" is also a "buddy." Bugs me, too, especially coming from people who put such an emphasis on family. Have they lost track of who's who? Maybe because they always consider their siblings to be their best friends. I've heard that mentioned a few times. Easier to say friends. Plus they are her friends. Sister's can be the best friends in the world. Michelle's age is starting to show on her face. There are good lotions and potions on the market to combat that, before it gets worse. Both Duggar parents look like they're aging rapidly. ???? People age. It's a natural thing. There's no need to "combat" it, especially with "lotions and potions" that are full of chemicals that are banned in most countries outside the US, and don't really work anyway. So sweet and selfless to wait and share the celebration. Everyone looks healthy,happy and maybe another Dillard is on the way?